Research Electronics International recently released a software update for the TALAN Telephone and Line Analyzer, version 2.04. The update can be downloaded from the website and includes installation instructions with the update files. Upcoming firmware updates will include enhancements to VoIP features. Version 2.04 improves several key TALAN functions. 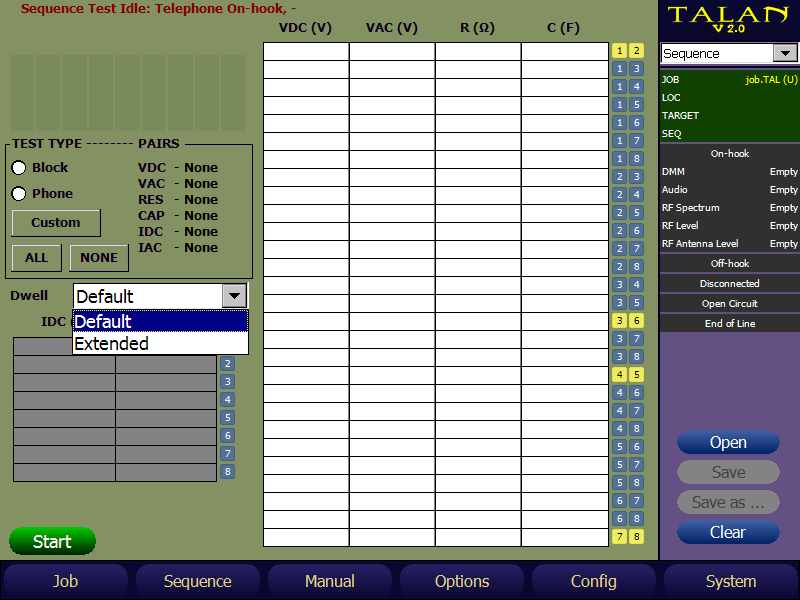 In order to improve the TALAN’s capability to locate illicit tampering or irregularities on cable pairs and wires, a dwell time option has been added for digital multimeter and audio testing. This option allows users to choose either a default or an increased dwell time when running the appropriate test on each cable pair. For example, when the TALAN applies voltage to each cable pair testing for resistance, a longer dwell time may result in more consistent or accurate results. This can also be true during audio tests when a user is physically listening for activity on each cable pair. Users can now select which tests the sequencing digital multimeter will run. In previous versions, the TALAN would perform all tests in all combinations without the ability to select specific tests. The updated firmware allows users to customize which tests and on which pairs and wires each test is performed. Additionally, a quick selection option for Phone or Block was added. 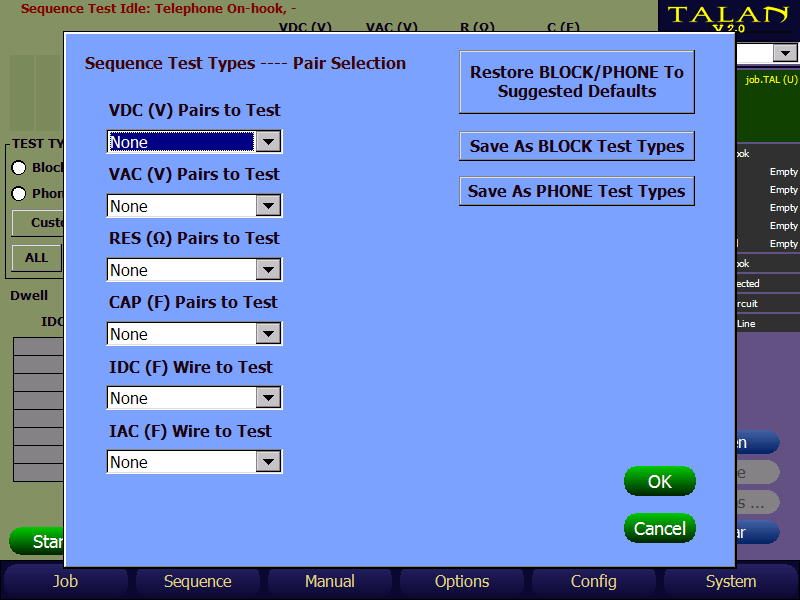 When selected, the TALAN software will automatically load a default set of tests to run and determine on which cable pairs and wires, omitting any that do not apply. Users can also change the default tests selections for both Phone and Block. Selectability provides more flexibility to get in and out of a sweep operation efficiently. Before this update, manual test data was stored in a separate area than the sequencing test data. This storage location might have included tests run at different locations and mixed phone and block data. If the user did not name the test set appropriately, the test results could be difficult to locate. After the firmware update, users can save manually collected data with a job location or target, similar to the sequencing test data, saving time and frustration when locating the data later. On the Connections Dashboard, two selection items were added allowing users to quickly change between the default banana pairs of left red, right black, and the normal center for Mod-8 pairs. This helps speed up transition time when switching between test types. With these improvements, the TALAN continues to be a valuable tool for security professionals tasked with analyzing analog, digital, and VoIP phone systems.